Spigamonti: there is a new grape in Valpolicella! 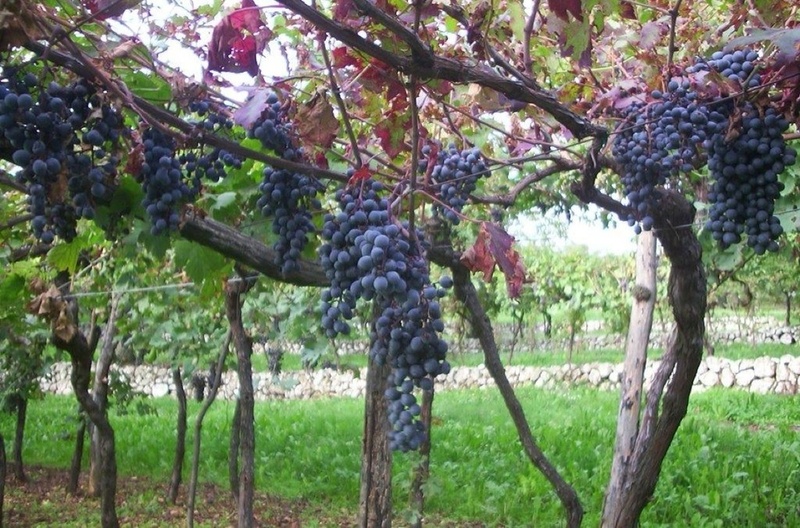 Valpolicella has many original grapes: Corvina, Corvinone, Rondinella, Molinara, Oseleta, are the most widespread and renowned. Nevertheless, in the oldest vineyards there are still many grapes without a name or a story. Lately, one of them has found its name: Spigamonti. It's a totally new variety of grape, in Veneto but also in Italy as well, never discovered before: its name is the same of the place (Spigamonti) where it was found, a location near Montecchio di Negrar, Verona, at 450 meters of altitude, in a vineyard belonging to a grape grower who is associated to the cooperative Cantina Valpolicella Negrar. says Daniele Accordini, winemaker and general manager at Cantina Valpolicella Negrar. "During a visit to the vineyards of this place, in the summer of 2000, I've noticed a vineyard with grapes already coloured, while the surrounding rows of Corvina, Rondinella and Corvinone had still green berries. Bunches of this plant were very sparse, the wood was dark red, the leaves very dark. 'What a curious grape' I thought, and in order to knowing the origin, I waited the complete ripeness of the bunches and then I took them in the laboratory of the cooperative to analyze them...". "Immediately we were impressed by the color of the juice, so intense". The following DNA analysis demonstrated that there was no connection with the varieties surveyed so far. "It will take a few more years before getting a certain amount of production, but we found that even a small percentage is enough to make a difference - says Oliboni - Infact, right now the variety Spigamonti is too powerful to be used alone, but in the blend of Valpolicella it can give great results, thanks to its structure and its tannins". "In the new rules of production of Amarone and other red wines of Valpolicella (2010) there is the possibility to include the 10% of native grapes, and Spigamonti is one of them. So, we can give our wines a greater singleness and uniqueness". 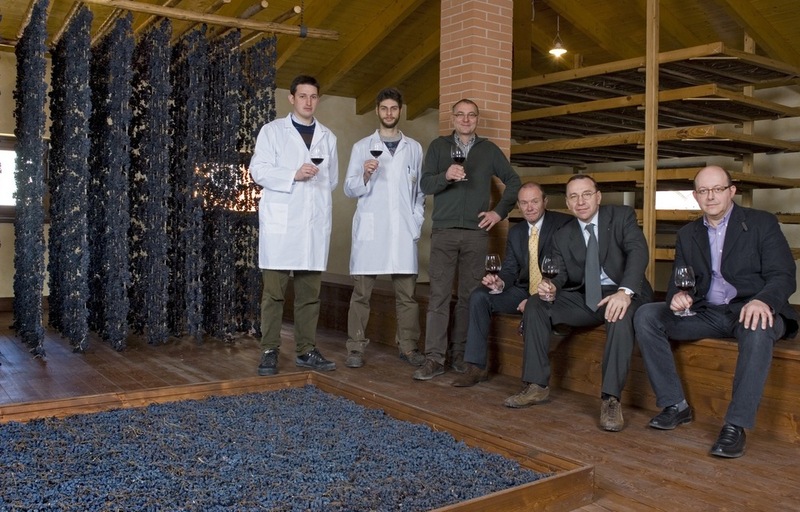 The team at Cantina Valpolicella Negrar: Daniele Accordini (second from right) and Claudio Oliboni (third from left).